For feedback, questions, suggestions etc. please use the forums. This version.is compiled against XAF 18.1.3. Xpand Solution Wizard uses DXGalleryWizard instead of XAF solution wizard. AutoRefreshListView does not work for NestedListViews. Worldcreator throws on load if ReportsV2 is installed. Projects do not load outside Xpand root folder. This version.is compiled against XAF 17.2.7. New FileBrowsePropertyEditor added in System.Win. Relative path support for the VSIX LoadFromProjectReferences command. AuditTrail exceltion at start when IntermediateClassInfo in certain cases. Strong sign is missing in ExcelImport modules. Introduce Timeout attribute to avoid throwing when long tasks such as database backups. a) Support VisibleInExcelMapAttribute, VisibleInListView,VisibleInLookupListView,Browsable for controlling the display of the mapped fields. b) Support CreateAlways, UpdateOrCreate, SkipOrCreate importing strategies. c) AutoImporting support (Win only). VSIX configure command shortcuts from package options, to avoid conflicts with existing assigments. Excel importer Exception When DisplayName is set. MasterObjectViewController does not initialize conrrectly in certain cases. AutoScrollGridListEditorController fails to scroll when server mode. All Xpand custom permissions are disabled from the middle-tier. All projects switched to latest C# version. Improve NavigationContainerController event subscription to avoid exception in certain cases. This version.is compiled against XAF 17.2.6. The StorageMapper requires a source and a target objectspace and it will copy a collection of objects and their graphs from one objectspace to the other. Hosted in IO module. To recompile the framework now you need VS Build Tools 2017. (Can be installed without VS2017). This version.is compiled against XAF 17.2.5. 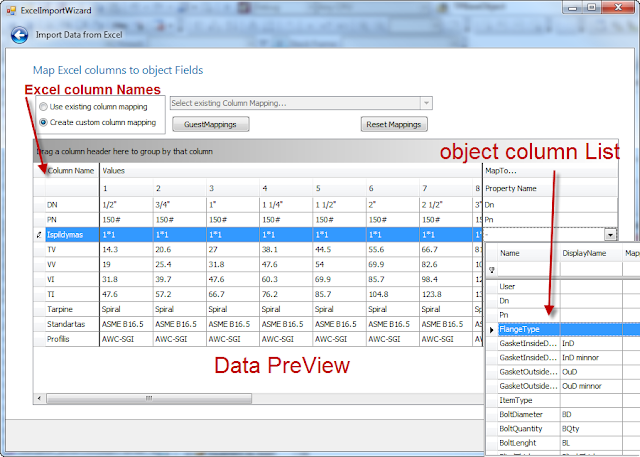 Declarative support for orhapned collections with the use of the DatasourceCriteria attribute. Enable multiple usage for the ModelMergedDifferenceAttribute. Helper extension method IsOutdated to detected locked (XPO) objects. Added UpdateListEditor Controller extension method in Xpand.ExpressApp, Xpand.ExpressApp.Win assemblies. You can use this controller to lock the Grid from the platform agnostic module when you want to update a large number of objects. Added TakeLast linq extension method, which enumerates once. The method is added in Xpand.Utils assebmly so it is available everywhere. Added ActiveDocumentViewController exposing an event to get notified when in MDI Tabbed enviroment the active view/page change. The controller added in Xpand.ExpressApp, Xpand.ExpressApp.Win assemblies so you can use it from your platform agnostic modules. Vsix package results in VS hanging for certain types of projects and the Xpand ModelEditor did not list all projects. Now there is better logging for the exceptions, avoiding those locks and the ModelEditor lists everything. XpandUnitOfWork used from XpandObjectSpaceProvider supported comming only changed properties through the ISupportChangedMembers interface which is now removed. The XpandUnitOfWork has now build-in and pre-enabled support for this case as per Security: Persist changed properties only when saving a changed business object record. GoogleTranslation provider is removed as Google no longer support this service for free. Bing is now the default provider. The ModifyLayout property for the OverallCustomizationAllowedPermission will be applied by default only to Xpand Roles. For other Security Roles you must use the OverallCustomizationAllowedAttribute or some other way to create the ModifyLayout property manually. This version is compiled against XAF 17.2.5. IO module: Support for POCO objects as SerializationGraphs. eXpand Framework (eXpand) is an open-source framework built on top of the DevExpress XAF Framework. Get eXpandFramework from the download page. The installer adds the assemblies in the GAC, adds components in the toolbox includes the sources, adds a registry entry @ HKLM/Software/Wow6432Node/Microsoft/.NetFramework/AssemblyFolders/Xpand and installs the Xpand.VSIX package. You can install a module by performing any of the following actions. b) Use the eXpandFramework Solution Wizard to create a new solution. The Wizard first will display the XAF solution wizard allowing to configure your XAF solution. When the XAF wizard will finish and depending on your configuration a popup form will allow you to choose which eXpandFramework modules you wish to install. If you have an existing solution Xpand.VSIX adds an entry to the related menu that will display the same module chooser form. registering the agnostic platform WorldCreator can also be done similarly in your Module.Designer.cs but is optional. You will be notified in details what you have to do If further actions required by the compiler. Nugget packages do not provide a design time support so you need to register manually the modules you want as described previously. The nugget packages also include the symbols (pdb files) which link to the online repo so you do not need the sources in order to debug the framework. VSIX package contains VS commands, menus, tools, templates for working with XAF and eXpandFramework (optional). The libs contained a pre-compiled version of all assemblies along with the symbols which are linked to the online repo so you do not need to get the sources for debugging the framework. The sources may differ a bit from the online repro as they are optimized from the buildserver. So we recommend you use them from the download page instead of github unless you know what you are doing. The above links are just an indication and not a complete list of what is included in the framework. Feel free to explore the rest and ask questions in the public forums. All eXpandFramework artifacts are mapped to the XAF model allowing you to declaratively control them. To get a taste of how much eXpandFramework will enrich your model compare the next screenshots. Finally the project is actively devloped and supported, feel free to use the public forums for bugs, suggestions, questions etc..
eXpand forum users helping one another is one of the cornerstones of our community. Registering on the forum is quick and easy, and you can get started right away helping people just like you. Code contributions in its various forms are very welcome - check our list of ideas! Link to Uservoice.